Happy International Year of Cooperatives! Earlier this year, the United Nations General Assembly drew attention to the important role of cooperatives by designating 2012 as the International Year of Cooperatives. Cooperatives (co-ops) are member-owned and member-driven enterprises that play an important role in sustainable development. Co-ops are especially important for creating jobs, providing education and training for members, and coordinating lobbying and advocacy campaigns. Co-ops also provide social protection for their members through mechanisms like emergency loans and credit insurance. Agricultural cooperatives (ag co-ops) can play an important role in enhancing smallholder farmers’ livelihoods by strengthening their bargaining power and resource sharing. By joining a larger group, farmers can negotiate lower prices for inputs like seeds and fertilizers, or share costs for equipment. After crops are harvested, co-ops also help collect members’ produce, store it and transport it to buyers and agents. 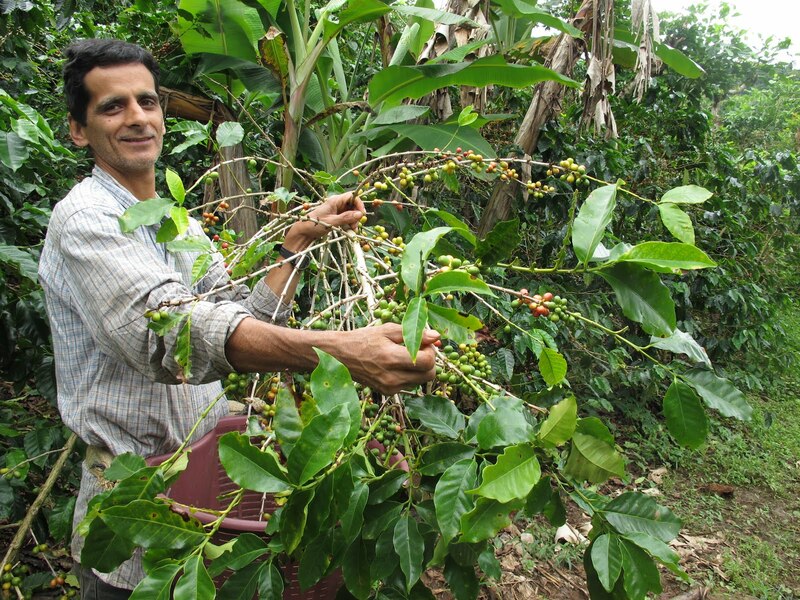 Kiva borrower Rigoberto in his coffee field. Cooperatives play an important role in Kenya, a country where over 60% of the population is directly or indirectly involved in cooperative-based enterprises. Prior to 1997, cooperatives were under state direction and used to implement state policies. However, that year, legislation was passed to liberalize cooperatives and make them commercially autonomous. Despite a rocky transition following the passage of these laws, the number of co-ops in Kenya has been growing since 2003. In the agriculture sector, especially, there has been significant growth in sales by coffee and dairy co-ops. In Kenya, ag co-ops that have developed innovative ventures have been particularly successful. Historically, cooperatives have operated mainly at the lower end of value chains, specializing in collecting farmers’ produce for processors and buyers. But recently, cooperatives have seen success at the higher end of the value chain. One case in point: dairy cooperatives. Dairy co-ops have begun to set up their own milk cooling and processing plants to add value to farmers’ produce. In the Machakos district in Kenya’s Eastern Province, two small dairy cooperatives, Wamunyu Farmers Co-Operative Society and Masii Farmers Co-operative Society, isolated the inefficiencies in their processes. Soon they began to coordinate pricing to avoid undercutting each other, and they have also trained farmers in techniques like rainwater harvesting and hay bulking to deal with droughts. Together, they were recently awarded a $55,000 grant from the International Labour Organization to purchase two cooling tanks and a power generator. This has allowed them to drastically reduce milk waste and increase sales. 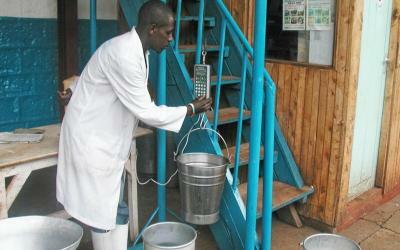 A farmer at a milk cooling facility run by Wamunyu Farmers Co-Operative Society. Uriri Farmers’ Cooperative Society has been creative in promoting soybean farming as an alternative crop. The co-op was formed by 10 farmers who were seeing disappointing results in sugarcane and tobacco farming. It sought support from the International Centre for Tropical Agriculture (CIAT), and today, the organization has attracted thousands of other farmers who want grow soybeans. Coffee co-ops are also establishing their own hulling facilities to mill coffee, and some coffee cooperatives have acquired marketing licenses to allow them to undertake direct marketing of their products to customers. 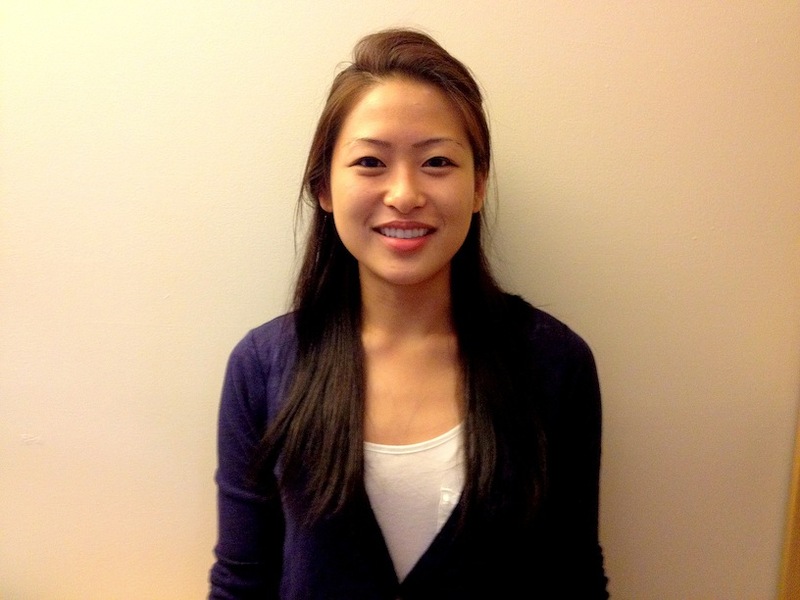 How is Kiva working with agriculture co-ops? In Kenya, Kiva is working with Field Partner BrazAfric to support ag co-ops. BrazAfric is a for-profit social enterprise that imports, distributes and sells agricultural tools and machinery. It works with thousands of smallholder farmers and co-ops to offer quality agricultural products and technical support. 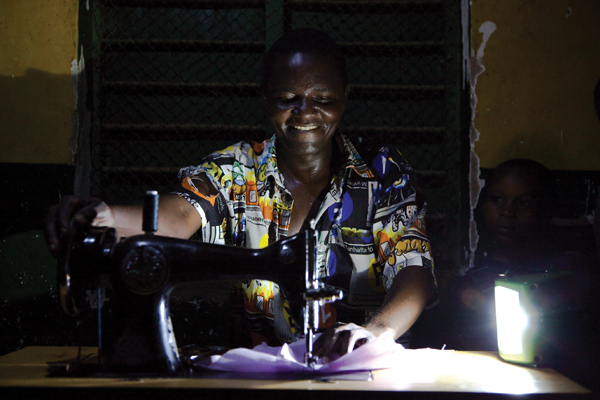 A BrazAfric client sewing by the light of a new solar lantern. Currently, BrazAfric is providing coffee co-ops in Kenya with equipment financing to help purchase wet mills for processing coffee. These wet mills ensure that the quality of coffee processed is maintained while consuming relatively less water. By replacing older technologies that consume a lot of water and waste coffee beans in the process, this has led to an increase in farmers’ revenues and lower operational costs. Beyond Kenya, Kiva is also working with other Field Partners to support ag co-ops. For example, partner Gata Daku Multi-Purpose Cooperative (GDMPC) was formed in 1992 by 32 farmer-cooperators in the Philippines. It has since expanded beyond agriculture, but continues to help small farmers and fisher-folk gain access to technologies and procure inputs. And in Mexico, Kiva is working with La Union Regional de Huatusco to provide loans for crop increases and conversion to organic farming practices.